To make sure you get the best deal we'll show you great prices from all of our drivers, including Monica Trans 1, if they're available on the day of your move. Have a question for Monica Trans 1? No problem, send them a message and they'll email you back as soon as possible. If you have a more general question you might find it answered in the FAQ, or you always contact one of our brilliant customer service team. * Monica Trans 1 won't be able to see your email address. Vehicles in use are all long wheel base Citreon Relay's and LWB Peugeot Box van seen in picture, these reliable Vans provide a large load space enabling any size items to be transported safe and securely everytime, weather it be a big or small parcel all care is taken to insure your goods are collected and arrive exactly as you would expect. No job is too big or small, office moves, house/flat or multi drop contracts have been full-field by Mone Van Transport LTD. All vehicles come fitted out with all the essentials such as trolleys, webbing removal blankets etc any other questions or concerns you may have please request a call back, I'm always happy to hear from you. My removal team were amazing- on time, so helpful and made the whole experience so easy and pleasant. They had great attitudes and went above and beyond. We were a bit anxious at first because the driver we'd expected wasn't able to come so we were allocated a different one an hour or so prior to our scheduled departure ...and I am so glad we were! I am a terrible back seat driver usually, but his driving was faultless. Lovely bloke and we really enjoyed the drive up to York. He was incredibly thoughtful and helpful when we arrived at the huge, and very difficult to navigate, university campus too. I just wish I could use him every time I need a man with a van because we hit super lucky!! Peter was fantastic, really thoughtful, polite and hardworking. They also provided me with an extra person really last minute which I appreciated. Only criticism was that I could only book up to 9.5 hours (on this site??) and it meant that the journey ran over by 3.5 hours which with two people was an additional £80 per hour. Would have preferred to be able to have longer time period to be able to see full cost. Otherwise, great service. CMV RESPONSE 01-10-2018: Thank you for your positive review and kind feedback. The maximum duration that you able to book in advance is twelve hours. This Driver was magnificent. Literally the best we have ever moved with. Despite being let down by his partner for the day he still managed to move everything we needed quickly and carefully. We also travelled with him to the location and he was a perfect driver. No overtaking, no speeding everything was spot on. My driver was late but in the circumstances that was no problem as it gave me some time to finalise packing. When he arrived, he was very helpful and quick. He also helped bring my stuff upstairs at the destination, which was very good of him. I would recommend him! The team was hardworking and very good-natured about stairs on a hot day! Communicated via email and agreed a mutually convenient time, driver texted eta on route. Excellent service, the driver was very helpful, friendly and polite, I traveled in the van from Swindon to London and had a very pleasant journey. The whole move was handled efficiently and and was much easier than expected. Punctual and polite and did a good job. The 2 men arrived at exactly 7 am as requested. They worked quickly but also carefully. The whole move ran very smoothly and l would not hesitate to recommend them or use them again. They were excellent, really lovely helpful guys, so careful bringing the furniture in and out. They were on time for the collection but not for the delivery, but London to Devon is very difficult to gauge so it was to be expected. Would definitely use Moan Vans again and recommend. Very efficient, very helpful, quick and careful at loading and unloading, and made the move as low stress as possible. Two very pleasant, hard-working guys. We had to pay him 150 pounds extra for traffic where it didn't even show??! All drivers do use the latest sat nav technology to avoid traffic wherever possible, however, unfortunately it is not always possible. Therefore, if your booking runs over the hours you have booked due to traffic, you would be asked to pay the driver for the additional time. Really friendly guys and helpful! Guys made my removal quick, easy and painless. Excellent service, would definitely recommend! Great service, would highly recommend - the guys are magicians at getting giant items through tiny doors. Thank you! Would work with them again. Very friendly and professional service. Would use again. This driver refused to give me a receipt. He promised to send it and I have been chasing him for one. He was abrupt over the phone when I called to remind him. I would like a receipt sent to me. The driver was very helpful and courteous. He moved my goods very fast and all my fragile items arrived in good condition. I rode in the van with him and he was happy to stop for a break if I needed it as it was a 2 and a half hour journey. I would highly recommend him. I don't understand why the customer is upset about the travel time. I opted to follow Google maps to avoid traffic. The road I used was slightly longer, but much faster as it was clear. In addition, the customer followed his route but only arrived 5 minutes earlier than me, even though he was travelling in a car and I was in a fully loaded van! I estimate that if I'd driven the same route as the customer, I would have been 20 or 30 minutes longer in arriving. i was very impressed with this driver and i happily recommend him. this was an arduous job - many thanks for the outstanding, professional service! Very helpful, friendly, well equipped, nothing too much trouble and would definitely use again. Moan Man and Van were great from start to finish. I definitely recommend them and would use them again. Friendly, courteous and very efficient. Highly rated. Thank you very much for making my moving day a stress-free one. I'd definitely recommend & use again! The two guys who arrived were extremely efficient & speedy at loading up all the boxes etc. & my daughter was delighted with the unloading in Scotland too. Well done Man & Van! I really hate to rate so low but stuff was collected at 7.30am and delivered (having anticipated 5 hours to Durham) at 10.30pm. 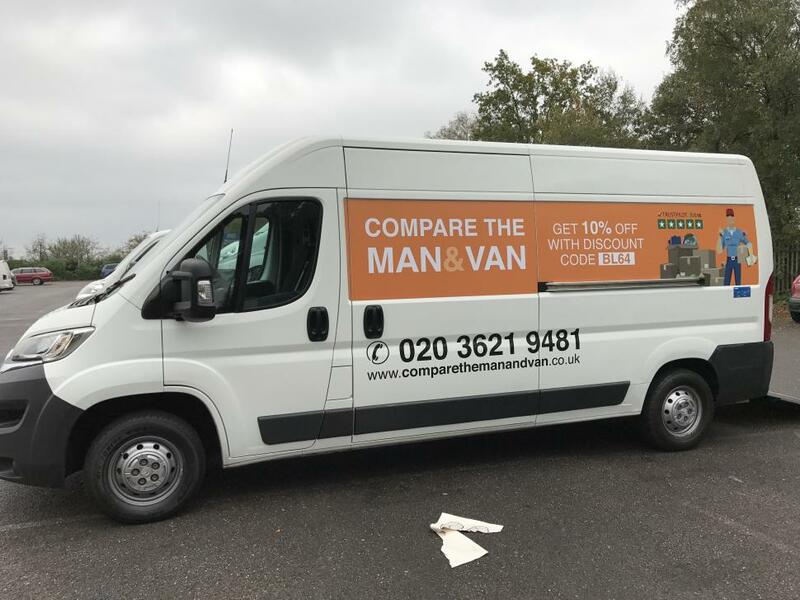 We won't be using Man with Van again. Driver's response: Unfortunately, there were unavoidable delays on the day and the customer was kept fully up-to-date at all times. He was also refunded £50 at the end of the booking due to the delays. At the time he said he was happy with this. Fantastic service! We were moving a large number of household items and boxes between Birmingham and Newcastle-Upon-Tyne. Although our driver arrived late, he kept us posted of his arrival time via SMS text message. The driver, Andreas, and his assistant, worked swiftly to load the van up with everything securely stored. I'm happy to say that all our goods arrived at their destination without any damage. Absolutely superb service, couldn't have asked for more. The van was booked at very short notice and arrived within 20 minutes. The 2 gentlemen were very courteous and respectful of both the items and my home. Would highly recommend and will ensure to use this firm again in the future should I need to. These guys rocked! Consistent hard workers who were as quick as possible, long drive and three floors up didn't phase them. Thanks so much ???? Andrez was very quick and efficient... Very professional! Would definately use again and highly recommend. Van arrived half an hour early and at the wrong address, despite it being corrected by our Daughter the day before when she realised it was wrong on the confirmation e-mail. The driver was polite but seemed to be in a hurry to load the van even though we had been told that we would need to load the van ourselves as it would cost more to get them to do it for us. We then discovered the delivery address was also incorrect, (again this was pointed out the day before). Luckily we checked before the driver left and was able to supply the correct one so it was not a problem. Perhaps the biggest inconvenience though was that we had requested to be able to travel with the van to London in order to help our Daughter unload her items quickly as there was no parking outside her flat. 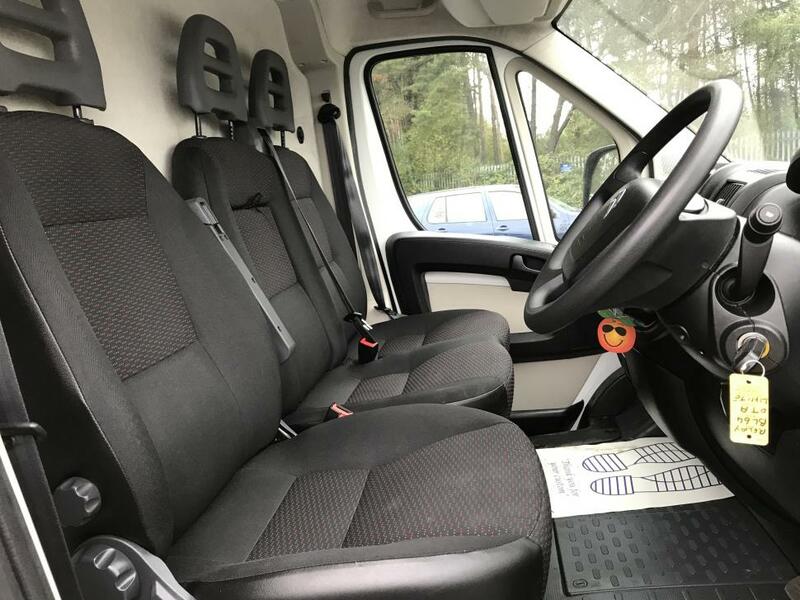 However when the van arrived at the collection address it not only had a driver but also two extra men and so there were NO spare seats. This meant that my wife and I had to quickly arrange our own travel to London by train in order to arrive before the van so that we could help our daughter unload her items. Unfortunately this meant we were travelling during peak time. Had we known that we were going to travel by train we could have probably organised a cheaper ticket. Although we were disappointed with the Man and Van service we can not praise Daniel enough for his help and advice when he heard of our predicament. We rang him immediately after the van had left as we were worried that the process had not gone as we expected. He was very apologetic that we had not received the service he had promised and as a gesture of good will confirmed that he would pay our travel costs and refund our deposit we had paid. Also Daniel asked to be kept informed when the van and items arrived at the destination. Luckily everything arrived safely (although late due to an accident on the road) and the men even helped us unload the van in order to leave promptly. Despite the above mentioned problems we would still recommend this website but advise checking all details prior to moving date and obtain a contact name and telephone number of the driver so you can monitor the journey and check if there are any delays. Really friendly and inefficient. Took the stress out of moving! Would highly recommend. Very efficient in their work. Would hire again and recommend them to anyone. The driver was 15 minutes late but phoned in advance to advise us. I was very pleased with their service. Andrejz was great. Very polite, helpful and on time. I drove with the van from London to Devon and it was a very pleasant journey. Efficient way to move! Definitely recommend! This company were extremely fast and efficient at moving the items in and out of the properties. I would recommend them. I would have liked more communication, e.g. A text a couple of days before to put my mind at rest and on arrival but overall the service was excellent. Very helpful driver. service was very good. Would highly recommend. Would definitely use again, very professional! Very pleased with the service - we had a lot of items to move and our driver was very helpful and communicative throughout the whole process. Very efficient and great service - thank you. Very helpful and polite. Great boys. Thomas was absolutely perfect. I'd been dreading having to shift all my stuff from London to Liverpool but thanks to Thomas it was absolutely painless! He turned up on time, had trolleys to load stuff into the van in about a tenth of the time it would have took us otherwise, was incredibly considerate and careful with all of my items and provided a very comfortable and quick journey up north. Well worth the money and would definitely book again. Thanks so much for all of your help! Andreas & his helper Adam were great, very courteous, super efficient, I would recommend them without hesitation. So happy with my move! I came along in the van and despite moving a long distance with several hours in the car, the driver made me feel super comfortable and made my move an unexpectedly joyful experience. My furniture was handled with great care and everything arrived safely. Would recommend to anyone planning a smaller or bigger move! Thanks a million! Bit more expensive than anticipated. Was expecting total about 110. Worked out 129. They were really flexible and helpful, worked hard and fast and were really friendly. I highly recommend them. Despite me being out of the country, communication was excellent - at both pick up and drop off locations. Driver/s polite and efficient. No complaints or negative comments from contacts ta pick up/drop off. Great overall service - would recommend. Excellent service, two very nice guys, moved very efficiently, very hard working, absolutely faultless, very happy with the service would definitely recommend them and definitely use them again. The driver & his assistant couldn't have done more for me...they were very efficient and hard working, as well as pleasant and respectful. I'd highly recommend this company and would use again without hesitation. It was a very smooth and efficient move. I recommend these guys, they were very easy going and helpful. Fantastic service, quick, efficient, friendly. Lots of communication. Value for money. Will definitely be using again. The van was bigger than i was expecting. I used the van size estimator to estimate the size of van, I could have fit in a few more boxes in the van which i had to move by car later on. Apart from that, excellent service and would recommend. Driver was very hard working! He might have been a little late, but more than made up for it with his hard work ethic! Awesome service - I moved his time and asked him to bring another person to help they were here till 1130pm on a Friday night of a bank holiday weekend. Brilliant! Cost effective, the driver was absolutely amazing he managed to arrange wooden ramp at 23:00 without prior notice to collect my sit in mower and he was with great manners, polite . Well done guys really well done .